Last semester my senior level Digital Fabrication and Design students (Fred Kaems, Becky Yoshikane, Sara Shuler, and Calvin T. Rupnow) engaged in a project that involved the creation of a 3D printable prosthetic leg covering or fairing. This object is intended to restore the anatomical shape of the affected limb, to be customizable, and to be 3D printable on tabletop scale 3D printers. Veterans are the intended recipients of this unique prosthetic leg covering. The project, entitled "Next Step", is provided as a way to give veterans the opportunity to customize and create a bespoke covering that mirrors their personality or interests. The project began with an introduction to Gerald Ortiz of Melody America who put our students in contact with Sgt. Eric Rodriguez USMC. I was introduced to Gerry through my work with Enable. Gerry runs Melody America, an organization that promotes adaptive music therapy for veterans. We discussed the fact that many amputees would like the opportunity to restore the anatomical shape of their affected limb. Conversations began about how Digital Craft Research Lab students at UWM might be able to use their unique design and fabrication skills to design and create a printed fairing that could be offered as an open source device for veterans who wish to have a customizable prosthetic leg covering. One of my summer DCRL interns, Hugo Martins, and I began working on the project during this past summer by creating 3D scans of Sgt. Rodriguez's prosthetic leg socket and brainstorming ideas about what the covering might be and how it might function. Later the Sgt. was kind enough to loan us his back-up leg so that we could design around the full leg and all associated components. The Fall 2015 semester began and I decided to involve my senior Digital Fabrication and Design students in the project so that I could see what they might create for Sgt. Rodriguez but also as a way to demonstrate the unique ways that craftspeople, artists, and designers can utilize their skills and knowledge to solve specific problems for individuals. I frequently speak to my students about the role that we all play in society as craftspeople. There was a time when people who made things were valued by society and they enabled communities to thrive and grow. The "makers and fixers" were the facilitators of a self sufficient life and they also had the opportunity to infuse individuality into our world through ornamentation and design, and to create experiences that are unique to the user. That said progress was comparatively slow because of the transfer of knowledge and the speed and efficiency with which things could be created. The industrial revolution changed that progress, but sacrifices were made to the individual's needs as well as the value of the maker who create one of a kind objects. We live in a unique time where technology, the knowledge of process and material, and problem solving are valuable commodities. Makers are now using hybrid practices to solve specific problems to create objects that address the needs of an individual. In addition, craftspeople are now able to solve problems remotely and the local community has now become a global community.The ability to connect is allowing those in need to have voice that is heard, and the hybrid practice established by craftspeople, artists, designers, and programmers is allowing Craft to regain a foothold that mirror's and adapts to it's own origins of connecting with community and creating objects with purpose. My students understand that they have a role to play in their society and that they have a responsibility to create a better world through the objects they create. They understand that their skill set and knowledge is important in a world with more problems than solutions. Assisting Gerry Ortiz and Sgt. Rodriguez seemed like a unique teaching opportunity that could benefit everyone involved. Over the next fifteen weeks of the semester, I chartered the students with creating three prototype leg coverings. The first prototype would be a leg covering that was designed for their own body. This would be an opportunity to think about what they would want for themselves if they were to create a leg covering for a specific occasion. The second prototype would be a leg covering that is one of a kind prosthetic leg covering for Sgt. Rodriguez. The students would interview Sgt. Rodriguez to get his advice on what his interests are, as a way to develop a design that is custom designed to his specifications. The third prototype would be a group project that involved the students building off knowledge gained from the first two projects, and design criteria insisted on the leg covering being designed with ease of customization and production. The third prototype was to be built to Sgt. Rodriguez's prosthetic, but needed to be adaptable or customizable by anyone with the same model of lower prosthetic leg. The leg you see above is a result of this investigation. Each student then created custom front fairing pieces to allow users to interchange or modify their front panel. In the coming weeks I will start showing the work for each of these prototypes, from Becky, Calvin, Fred, and Sara. A few weeks before the current Spring semester began, I recommended that the students enter their final design and prototype into a competition so that they could utilize funds to further develop documentation and finalization of designs, as well develop relationships with other veterans. This week we discovered that the project had advanced to the finalist stage of the competition. Our team of UWM/PSOA students submitted "Next Step" in the Infy Makers awards/contest. The student group has made it to the top 25 nation wide, and hope to move into the top 10 where each team will be awarded $10,000 when voting ends on March 14th. Please vote and help the students win so that they can further develop the project, develop documentation on fabrication and assembly instructions, and release this design as an open source design for anyone to print. You can vote once a day and we appreciate your help in making these designs available to anyone. Students working in the Digital Craft Research Lab at UWM have the unique opportunity have access to most any tool or process that is needed to create something using both the latest technology as well as traditional processes and the students are well versed in what it takes to make something out of nothing. 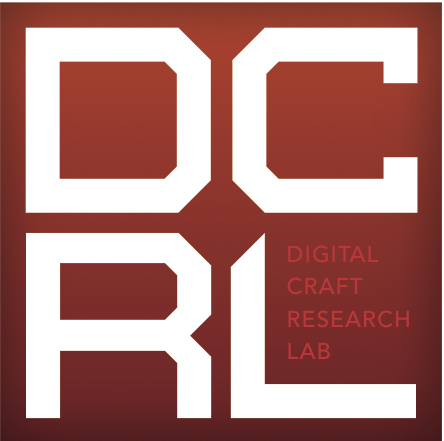 The lab and our digital fabrication program fosters innovative, creative research in the areas of design, craft, and art by combining advanced digital technology with traditional craft practice in an effort to educate students for the future. The DFD program fosters interdisciplinary design research, material research, and innovation through making. The program is envisioned as a facilitator for partnerships between UWM researchers and regional businesses, nonprofits, arts organizations, other universities and schools, and most importantly local and global communities. I loved those pictures, +Frankie. I think your idea is wonderful!